This weekend Walmart dropped some interesting news! Walmart will no longer accept Visa credit cards as a form of payment at their Canadian stores. The reason for this change is "the fees applied to Visa credit card purchases remain unacceptably high". Please note the customer never pays these fees, this is only on the company's side. I wonder much how these fees actually cost Walmart, they are one of the biggest retailers in the world so surely it doesn't even leave a dent in their business. 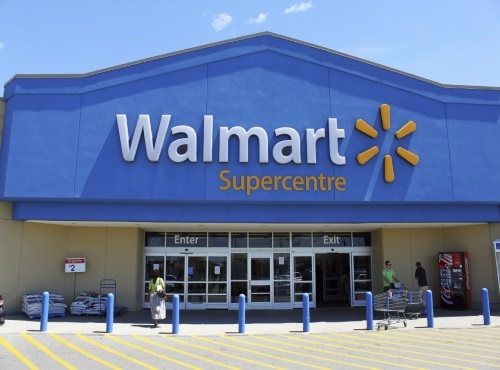 This change will take some time to take into effect, Walmart stores in Thunder Bay Ontario will start this change on July 18 and then roll out throughout the country. We went to Walmart this weekend and paid with Visa, I imagine we will personally just start using another credit card or another form of payment, not a big deal. We rarely shop at Walmart though, since it's out of the way for us. I can see this being an inconvenience for a lot of people though, I assume Visa is the most used credit card. Apparently Costco and No Frills don't accept Visa either. Walmart has been in the news quite a bit lately, they announced they are doing away with their fitting rooms as well, which upset a lot of people. Personally, I noticed my closest Walmart location is now charging $1 for shopping carts (you get that back of course when you return the cart) but I was surprised it was so high, considering no grocery stores around me charge anything. Please leave us a comment on what you think of this change. Will this affect you in a negative way? Do you use Visa credit cards for your Walmart purchases? Will you shop elsewhere? Or share your thoughts on our Facebook Page here. Not a big deal, I'll just use another credit card.I usually pay with cash on hand or debit anyway. Don't want more debt. I will probably shop elsewhere, I like using my visa there. A card can be replaced with another card but as far as fitting brooms. who wants to buy and lug a bunch of clothes home, then have to try them on and take the rest back that may not fit. I think they will also lose clothing customers over this. It says in the article that "Walmart Canada pays more than $100 million in fees each year to accept credit cards including Visa, MasterCard, American Express, and Discover, according to the statement." I don't really care about them getting rid of Visa because I prefer my AM MC. But if they are getting rid of change rooms, they should consider getting out of the clothing business too. I would never buy clothes in store if I didn't at least have the opportunity to try it on if I need to. Weird change.